Home / FAQ / What is small business group health insurance? Many small businesses offer group health insurance to their employees as an employment incentive. Employers generally offer group plans that utilize specific medical networks in which employees can obtain medical care. Employers sponsor the plans and may pay all or part of the premium for their employees. If you are a small business owner, enter your zip code in the box provided to receive small business group health insurance ratesinstantly! In 2009, according to the Small Business Association, small businesses accounted for over 65% of employment in the United States. This is quite a significant number and unfortunately many small business owners cannot afford to offer group health coverage to their employees. Even for those that choose to, selecting the best group health plan for your small business can be difficult. What types of small business group health insurance plans are available? These plans have different characteristics and you should investigate each type of plan fully to determine which bests fits your business needs. An Indemnity plan usually has a deductible. Employees covered under and Indemnity plan will pay a certain amount out-of-pocket for their healthcare costs until they reach a pre-defined limit. At that point, the plan will pick up and start paying the healthcare costs at a certain percent – usually 80%. An HMO is usually the most affordable option, but it is also more restrictive. Employees are required to choose a primary care physician and can only receive their care through a network of doctors and facilities that are part of the managed system. This means that employees who are members of an HMO must live in or near the HMO network for this type of group health plan to be effective for them. A PPO is a group health plan in which the insurance company has entered into contracts with healthcare providers who have agreed to offer discounts for their services. Employees who see in-network providers often recognize significant savings. Unlike an HMO, employees are not restricted from choosing out-of-network providers. However, if they choose to do so, they are penalized and their claims are paid at a lesser percent. A POS group health plan falls somewhere in between an HMO and a PPO – having characteristics of both. A POS plan is offered by HMOs but will allow the patient to go out-of-network. As with the PPO, however, doing so will result in higher costs for the employee. The latest addition to the small business group health insurance market is the HSA. HSAs are a great alternative to high cost, low deductible plans and were created in an effort to provide employees with a more affordable option for their health coverage. The employee contributes pre-tax dollars to a Health Savings Plan. This money is meant to offset high deductibles. The great thing is, any leftover contributions roll over to the next year and can actually be used as part of a retirement plan. What are some options for my small business to save money on group health insurance? When shopping for small business group health insurance, don’t overlook the benefit of professional trade organization membership. Often, these organizations offer discounts for group health insurance to member businesses. What are some things I can do to choose the best plan for my small business? When shopping for a small business group health insurance plan, there are several things you can do to narrow down your choices. One would be to survey your employees to see what they want and expect from health coverage and to poll them on what they are willing to pay in premium and out-of-pocket costs. Another way to find out more about the different options is to ask other small business owners about their experiences with group health insurance. Employees and colleagues are great resources for helpful information! How can I be sure that I choose a reputable group health insurance carrier? No doubt, as with anything, there are scams in insurance sales. As a small business owner, you need to carefully research any carrier you are considering. The company you choose to administer your group health insurance plan should be reputable. When doing your research you will want to make sure the carrier is licensed; ask about past premium experience rates; check with the Better Business Bureau; and again, talk with other small business owners. If you are a small business owner and thinking about offering group health insurance to your workforce, be sure to do your homework. Arm yourself with knowledge of the different types of plans and the characteristics of each. Learning all you can about group health insurance plans will better equip you when you talk with potential carriers. 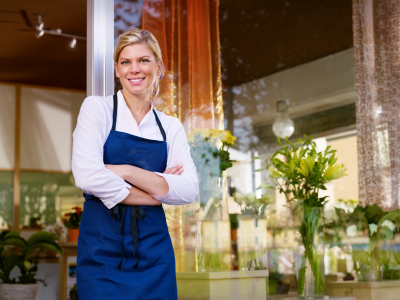 Are you looking at options for small business group health insurance plans? Enter your zip code now to obtain the health insurance rates available.